Rosemary was born on March 18,1926 in Los Angeles, California to Forrest and Lora Youree. She attended schools in California until her family moved to Idaho during her senior year which she completed at Nampa High School. 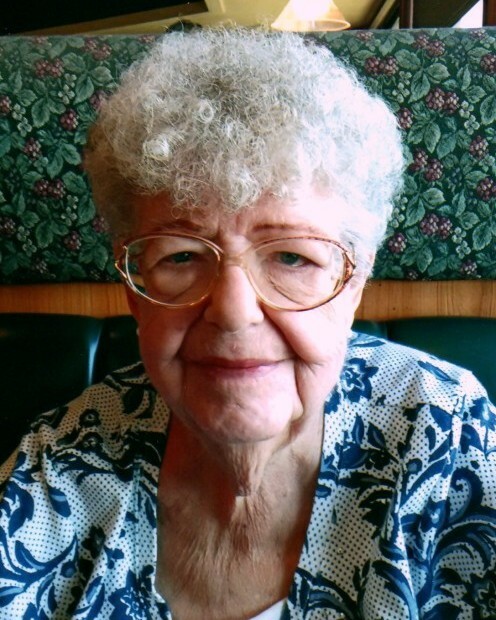 Rosemary worked at many Nampa downtown businesses including the Red Rose Cafe, Honker's Cafe, the Bluebird Laundry and Stanford's. She met and married Paul Stansberry in her twenties. They were married 9 years. After their divorce, while working at Woolworth's, she met and married Paul Staton. She instantly became "another mother" to Paul's three grown children Daphne, Lewis, and Steve. She held great respect for their mother Lena. To the marriage of Paul and Rosemary two children were born, Pamela "Susie" and Scott Staton. After her children's births, Rosemary started a daycare business that lasted 20 years until her retirement. She was preceded in death by her sister Melda Sneed, her brother Lee Roy Youree, her husband Paul, and her son Steve. Mom, we love you so much. You took our hearts with you. Fly with the angels until we see you again. Visitation will be Friday, August 17, 2018 from 9:00 AM until the time of service at 10:00 AM at Alsip and Persons Funeral Chapel, 404 10th Avenue South, Nampa, Idaho 83651. Interment Kohlerlawn Cemetery. The family requests that everyone attending the service to dress comfortable in casual dress clothes.